Calvin Poole is a haunted man with a secret, but it's nothing compared to the secret he uncovers in a small Southern town. Plus, a major character steps back onto the stage! "The Nocturnes" part 2. A new strain of vampire has emerged--much more vicious than the traditional variety. 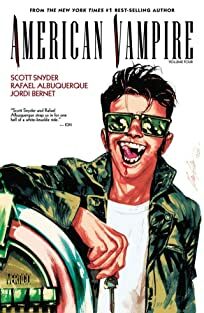 Scott Snyder and Stephen King set fire to the horror genre with a visionary, all-original take on one of the most popular monster stories, as they trace the creatures' bloodline through decades of American history! 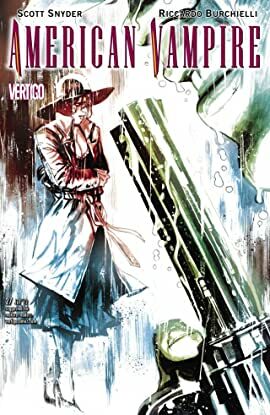 The Eisner Award-winning, critically acclaimed series continues into a second volume. 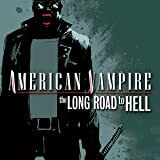 The tale of Pearl Jones and Skinner Sweet, both new breeds of vampire, enters a new era filled with new enemies, new allies, and a new decade, the 1960s! 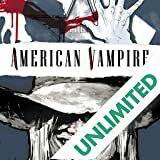 Fan-favorite character Travis Kidd--the vampire hunter who likes to "bite them back"--makes his return in this AMERICAN VAMPIRE one-shot! 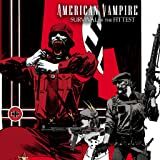 Hot on the heels of the award-winning AMERICAN VAMPIRE: SURVIVAL OF THE FITTEST, return to postwar Europe and the vampire-hunting agency known as The Vassals of the Morning Star! 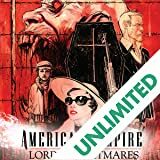 Follow vampire hunters Felicia Book and Cash McCogan as they venture behind enemy lines in Nazi-occupied Romania during World War II! 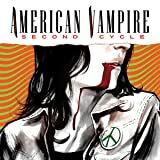 Written by AMERICAN VAMPIRE creator Scott Snyder, with art by Sean Murphy, this spin-off limited series explores a dark chapter of history.